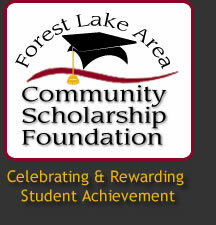 Since 1973 Forest Lake Area Community Scholarship Foundation has been supporting Forest Lake Area students in their pursuit of higher education. To learn more about the important role you can play in these students' lives click here for a message from the Foundation's President. To award scholarships to residents of the Forest Lake Area School District seeking to further their education through any college, university or technical training.